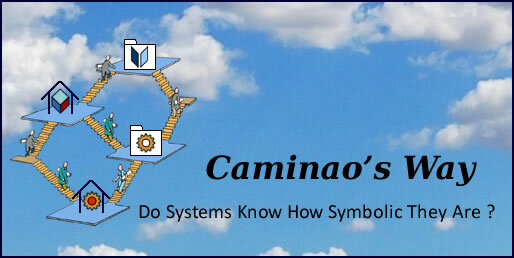 Do systems know how symbolic they are ? Agile vs Waterfall: Right vs Left Brain ? What Did Your Learn Last Year ? Whatever their nature, architectures can be defined as structured collections of assets and mechanisms shared by a set of active entities with common purposes: houses for dwelling, factories for manufacturing processes, office buildings for administrative ones, human beings for living, etc. A distinction between specific and changing business contexts and opportunities on one hand, shared and stable capabilities on the other hand (represented with the Zachman’s framework above). The enterprise layer deals with the representation of business environment and objectives (aka business model), organization and processes. The system layer deals with the functionalities of supporting systems independently of platforms. The platform layer deals with actual systems implementations. It must be noted that while the layered perspective is widely agreed (names may differ), taxonomies often overlap. MDA & EA: Is The Tail Wagging The Dog ? Caminao's Ways Blog at WordPress.com.